An Individual Voluntary Arrangement (IVA) can be used to save a small business that is struggling with debts. But whether an IVA is approved will be the decision of creditors. Using an IVA may be one way stop a business going bankrupt and to stop trading. An IVA can allow a business to continue trading and repay creditors. As long as the business is a one man operation then an IVA may be a viable option. Creditors would have to be in agreement that the IVA is acceptable. Creditors might accept an IVA as business bankruptcy may not always be beneficial to creditors when it comes to regaining their money. One of the requirements of a business IVA is to convince creditors to accept the arrangement. The small business owner will have to show creditors that their business is still a viable long term option. Creditors will require full access to business accounts and usually require a business plan with cash flow and financial details. Creditors are more likely to accept an IVA if it can be shown that financial difficulties have been resolved. One problem faced by struggling business owners will be trade debts and lines of credit being shut down. Trade debts will be included in an IVA and it will be a requirement that these trade debts are avoided in the future. One way of doing this can be to pay for services by cash only or open up new accounts with different credit suppliers. Business owners who cannot find ways around obtaining credit or paying by cash may have to find another solution. It may be the case that certain business assets will need to be sold to repay creditors. Creditors might also stipulate that a certain amount of equity on property be realised as part of the IVA agreement. It will be up to the business owner whether or not they find this condition acceptable. If the sale of any assets or equity is acceptable as part of the IVA then the proceeds will be used as part of the arrangement. The business owner will be the person who arranges and sells the business assets. Will A Business IVA be the Right Choice? A small business that has been going through a financially bad period and has amassed debts may find an IVA the best solution. The Insolvency Practitioner should be able to negotiate with creditors to reduce debts to an affordable level. Business owners must be confident that repayments to creditors can be made every month. 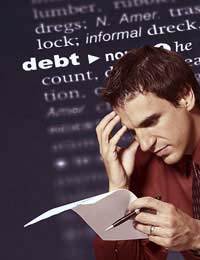 If repayments are missed then the business owner can still face bankruptcy. Employing the services of an Insolvency Practitioner (IP) will be the first step towards arranging an IVA. The IP will be able to guide the business owner through the process including the financial details needed to satisfy creditors. One of the plus points of employing an IP is that they will have experience in negotiating with creditors. An IP will be able to draft a viable creditor arrangement that should be beneficial to the debtor. A business IVA will not be suitable for all businesses. If it looks as if there is no hope of sustaining the business in the long term then creditors will not usually be agreeable to an IVA. Business owners should take professional advice from a legitimate Insolvency Practitioner before agreeing to any debt solution.